Gwendolyn Royal, 80, passed away on December 5, 2018. 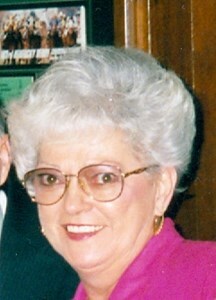 She was the office manager at Jefferson Special Police for over 30 years and a member of Evangel World Prayer Center. Gwen was a loving mother and grandmother who had a heart of gold and was a friend to many. She was preceded in death by her husband, William O. Royal; parents, Herbert and Kathleen Whittinghill Colburn and sister, Sondra Kay Colburn. Gwen is survived by her children, Daniel Cottrell and Kimberly Miller; siblings, Jimmy W. Colburn, Jerry H. Colburn, and Carolyn R. Seawright and several grandchildren, great-grandchildren, nieces, nephews and friends. Visitation will be Sunday, December 9, 2018, at Newcomer Cremations, Funerals & Receptions, Southwest Louisville Chapel, 10304 Dixie Highway, Louisville, KY from 11am-6pm with a celebration of Gwen's life beginning at 6pm. To leave a special memory of Gwen for the family, please select the "Share Memories" tab above. Add your memories to the guest book of Gwendolyn Royal. So sorry to hear of this passing. I had looked forward to meeting Gwen, the wife of my Uncle Bill, since I learned of the family's existence a few years ago. I had the pleasure of seeing many photographs of Gwen and the family as I visited other Royal family members. Cherish the memories. Gwen you were loved by many. You will be forever missed. You always made me feel like part of the family. I have always thought of you at Christmas and always will because no one did Christmas like you. I thank God for giving me the gift of having known you. The world was more beautiful with you in it.